Ideal for business traveler and enjoy the unforgettable city views, the Executive Suites are calm and tranquil. They feature king bedroom and the living room for entertainment or leisure. - Free use of broadband internet. - Rates are quoted in US Dollar (USD). 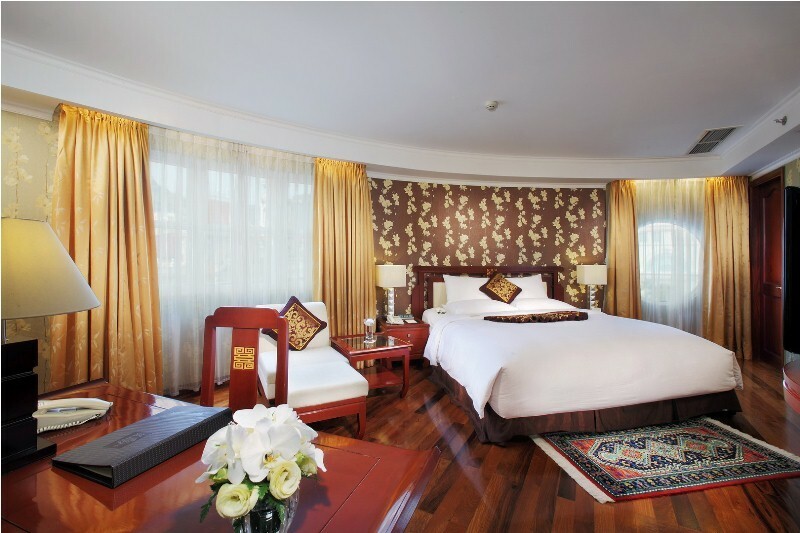 - Room rates is subject to 5% Service Charge and the prevailing VAT tax (10%) per room per night. - Not to be used in conjunction with any other offers or promotions. - All bookings are required to be guaranteed with a valid credit card. - Amendments/Cancellations can be made up to 24 hours prior 2pm (local time) on intended arrival date. Late cancellation after this time or no-show will be result 1 night charged on your credit card. - Limited number of rooms. - Check-in time is after 14:00 hrs and check-out time is before 12:00 noon. - To avoid early departure charge, kindly inform the hotel Reservation 72 hours before the scheduled departure date. - Please note that children age 12 and older are charged as adult rate. Please state the number in the No. of Adults box. - Exchange rates are for reference only. - Payment due upon departure. - Hotel reserves the right to cancel or modify reservations where it appears that a customer has engaged in fraudulent or inappropriate activity or under other circumstances where it appears that reservations contain or resulted from a mistake or error.